DIY projects aren’t always successful, and the rate of completion varies with the difficulty and scale of the project. Even if you have the skills to finish the task, it may require so much labour that it will take longer than normal to finish. 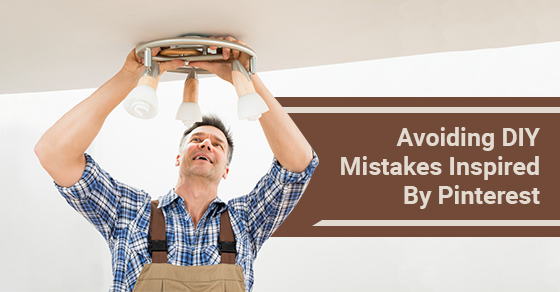 Read on to learn from the mistakes of others in your home improvement projects. Some projects call for a lot of detailed work, which can be deceiving because it’s hard to appreciate how much effort goes into constructing each small portion of the DIY task. For example, this penny floor looks beautiful and may appeal to coin collectors, but the reality involves weeks of careful work. One way to get extra storage space without buying a heavy and expensive bookcases or drawers is to install floating storage along the walls. Some walls are backed by concrete, which is often the case in apartments and condominiums, which means that you will struggle to bore a deep enough hole, unless you have a hammer, drill, or something similar. Most walls, though, will be very weak, so in order to properly anchor your shelf or rack, you will need to use a stud-finder. The idea is to detect a stud, which tells you where to find the edges of wall studs. The wood frame will form a good base for securing your storage. However, installing new lighting should be done by professionals because it requires electrical work, which is regulated for good reason – it’s dangerous when attempted by amateurs. Even if it’s something as simple as rewiring some bathroom lights, you should consult a reputable repair service. Let pinterest be the inspiration to make your home into your dream space – but make sure to avoid these common pitfalls. Talk to us today to learn more about how we can help you renovate your home.